I have broad interests in the ecology and evolution of infection, immunity and behaviour. After a degree in Biology from the Universidade de Évora, I started my postgraduate studies in Porto in the GABBA PhD program. This allowed me to carry out research towards a PhD at the University Edinburgh, which I received in 2009 for work done on host-parasite interactions in the invertebrate model Daphnia. Following postdoctoral research at CEFE-CNRS in Montpellier (France), in 2013 I joined the Centre for Immunity, Infection and Evolution (CIIE) as a research fellow to work on the causes and consequences of disease tolerance in Drosophila. Since 2015, I'm a Chancellor's Fellow at the Institute of Evolutionary Biology (U. Edinburgh) supported by a Branco Weiss fellowship. Jonti received a BSc (Hons) in Evolutionary Biology from the University of St. Andrews in 2015. His PhD addresses the genetic, physiological, and behavioural causes of individual variation in pathogen transmission. Katy recevived a BSc (Hons) in Zoology and an MSc in Animal Behaviour and Welfare from the University of Edinburgh. Katy plays an important role in managing every aspect of the lab, and also finds time to run her own experiments on behavioural responses to infection. Tiina has a background in ecological genetics, mitochondrial biology, and immunity of Drosophila. Her current work uses cybrid lines to explore the the role of mitochondrial genome variation on fly immunty to bacterial, viral and parasitoid infection. 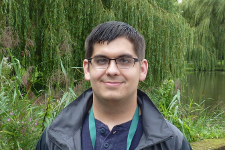 Vincent has worked on invertebrate models across different types of interactions, from mutualism (mitochondria-host cell interaction) to parasitism (fungal and viral pathogens of bees), using experimental approaches and next-gen sequencing. His Marie Curie EU-funded fellowship is exploring how pathogens evolve when hosts vary in their ability to tolerate infection. Arun has been working on the evolutionary ecology of flour beetle immune function in Deepa Agashe's lab, and will continue the theme in fruit flies. He is broadly interested in (a) immunity in the context of aging (b) immune defense strategies; resistance and/or tolerance (c) immunological memory in insects (d) chemical defense strategies (e) stress and genetics of immunity. Gavin Lockie (Evolutionary Biology Hons Project student) - Is agression immune-spressing or immune-enhancing in Drosophila? Lucy Anderson (Genetics Hons Project student) - mtDNA mutation effects on activity and sleep in Drosophila. "Plastic terminal investment strategies following bacterial infection in Drososphila"
Ryan did his MSc research project in our group on mitochondrial effects on humoral and cellular innate immune responses in Drosophila. Kyriaki dod a short rotation in our group as part of her HPGH PhD program, exploring the mechanistic basis of infection tolerance. "Within- and between-generational effects of temperature on gut microbiota and disease susceptibility"
"Genetic variation in social aggregation and pathogen transmission"
"The link between immunty and aggression in Drosophila"
Vanika was a postdoc in the lab between 2015-2017, having previously done an impressive PhD in the Prasad Lab at IISER Mohali on experiemental evolution of resistance and tolerance in Drosophila. During her time in our group, Vanika's work focused on better ways to measure disease tolerance, and on genetic variation in mortality and sterility tolerance of a viral infection in D. melanogaster. Vanika is currently a postdoc with Brian Lazzaro at Cornell. Helen brought over 20 years of lab experience to our group and took care of all aspects of lab maintenance, media preparation, H&S paperwork, fly husbandry, and even found time for the odd experiment. Her charm and wit are missed. Helen is currently enjoying a much-deserved retirement. Emili was broadly interested in biomedical science and public health. Her work in the group addressed the consequences of anti-disease therapies on the epidemiology of infectious disease. Emili carried out a systematic search of published scientific literature to assess the effect of NSAID/antipyretic use on the potential for disease transmission. She has recently finished her BSc degree in Microbiology and is currently a medical lab tech at Q2 Solutions. Joaquim spent 8 weeks in our lab, and developed an interest for behavioural assays. During his stay, Joaquim tested how viral infection affected male-male aggression in D. melanogaster. After a period as a Master's student at the Arendt Lab at the EMBL in Heidelberg, Joaquim is currently a PhD Candidate in the International Neuroscience Doctoral Program at the Champalimaud Centre for the Unknown. Charlotte did her undergraduate project research in our lab. She investigated the physiological and behavioural effects of low, sub-lethal levels of viral gut infection in D. melanogaster. Her work showed that even infections that do not kill flies can make them sick by moving less, changing their reproduction and affecting their ability to excrete. Charlotte went on to do an MSc in Conservation at U. Exeter (Cornwall), and is now doing Citizen Science in the middle of the Atlantic on the Açores islands. Michael was one our first students, and did some great work testing how viral infection affects fly locomotion and sleep. He also tested the ability of flies to avoid infectious feeding sites when foraging, and found that previously exposed female flies showed lower motivation to pick a food source when presented with a risk of encountering virus. Michael went on to do an MSc in Ecology, Evolution and Conservation at Imperial College, and will soon start a PhD in the NERC London DTP. In the meantime he enjoys shooting birds. Vasantha is a microbiologist and during his time in our group he worked on oral baterial infection in D. melanogaster. He found that the route of infection determines whether the endosymbiont Wolbachia can protect flies from infection. Vasantha is currently a postdoc at the CNRS Insitute of Genetics and Develepment in Rennes.